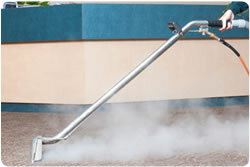 Carpet manufacturers recommend steam cleaning by a certified technician. When performed properly, hot water extraction will remove more soil and spots. It will also sanitize the carpet, whereas other methods have less capability of removing contaminates (such as pollen, pesticides, detergents, exhaust) The system we have does not over wet the carpet or leave any sticky residue. We invest in the finest equipment. Our Deluxe Cleaning includes the following steps. At Executive Carpet Cleaning our technicians are professionally trained to clean all type of rugs and mats using the latest cleaning technology. We apply best specific cleaning methods according to the rug’s current condition and treat them individually with special attention, care and proper cleaning to remove allergens, dust mites, soil, dirt and hair. At Executive Carpet Cleaning we clean all types of rugs whether it’s a machine made or handmade oriental rug. 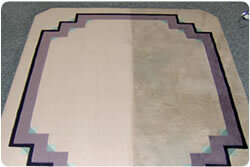 Depending on what type of rug we provide a steam cleaning method or low moisture method for more delicate rugs.